Copyright © 2016 by Enta Manufacture Industries. All rights Reserved. 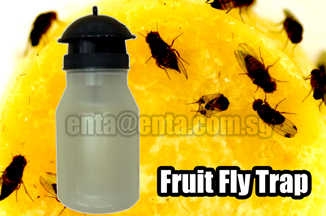 Description: ENTA Fruit Fly Trap. This trap is suitable for localised trapping of insect using food or pheromone attractant. Flies will be attracted to the lure, enters the trap and could not escape. Place attractant on to the absorbant pad located underneath screw cap. Note: Trap sold without pheromone. 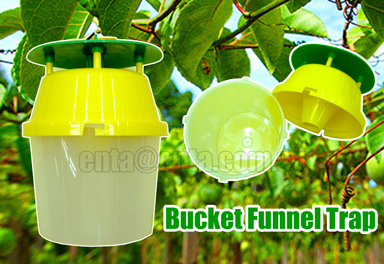 Description: ENTA Bucket Funnel/ Fly Trap. This trap is suitable for mass trapping or monitering of insect population with pheromone or food lure. The funnel design allows insect easy access into the trap but could not get out. Hang several 5 to 20 traps for mass trapping depending on the nature of the infestation. 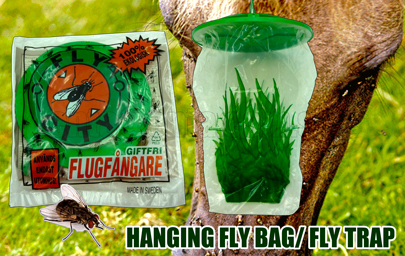 Description: ENTA Fly Bag/Fly Trap. This fly catcher is designed to control the fly population in a ecologically and inexpensive way. The flies are attracted to the catcher by the bait and when inside the trap they cannot escape and die from drowning and not from poisoning. Kills by drowning and not poisoning. Note: Trap sold with a pack of bait. 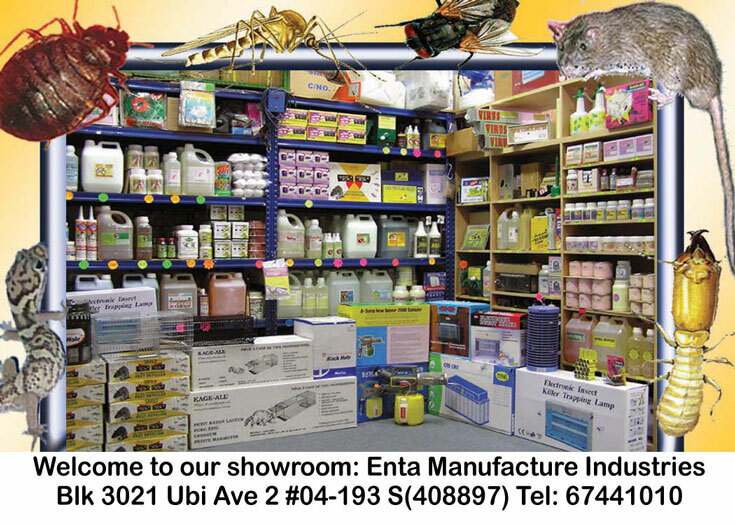 Description: ENTA Mosquito/ Flying Insect Box Trap. 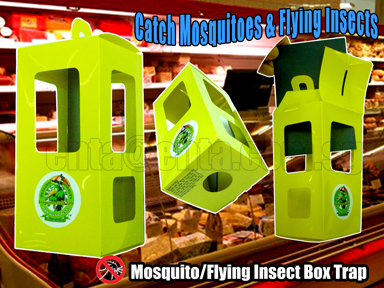 This trap is suitable for localised trapping of mosquitoes, flying insects using sticky pads. Insects will be attracted to the glue pad and once enter the trap, it will be trapped in the UV resistance sticky glue pad. Easy to use. Hang and dispose when full. 1 set of black sticky pad inside trap. Place near high human traffic place for trapping mosquitoes. Place near light source for trapping insects. Good for homes, meat shop, ice-cream/ yogurt shop, fruit trees, schools, childcare centers, hospitals, vegetable plantation & garden. Note: Trap contains 1 set of sticky pad only.